SuperHeroHype spent this past weekend at Fan Expo Canada in Toronto. While there, we had the chance to catch up with a number of interesting figures from throughout the pop culture landscape. 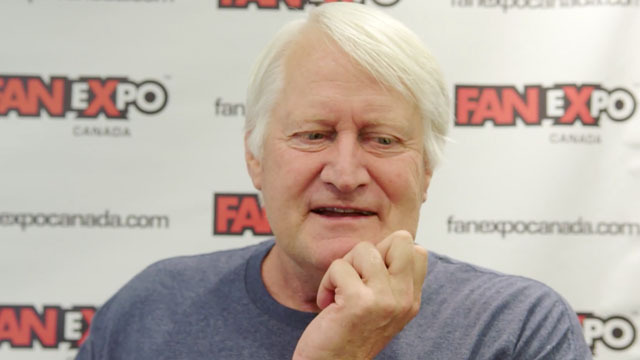 In our latest video, we’re chatting with Charles Martinet who, as Nintendo fans are likely aware, provides the voice for one of the most famous video game characters of all time: Mario! In the player below, Charles Martinet takes us back to his original audition and teases where we’re going to see Mario pop up next! Fan Expo Canada is the largest comics, sci-fi, horror, anime, and gaming event in Canada and the third largest Pop Culture event in North America. Celebrating its 22nd year, Fan Expo Canada has grown from a small comic book convention attracting 1,500 fans into a multi-faceted, 4-day citywide event that attracts over 129,000 people from around the world. The event takes place at the Metro Toronto Convention Centre starting on Thursday, September 1 and running to Sunday, September 4. The extensive guest list for the expo includes Marvel’s Daredevil stars Charlie Cox, Jon Bernthal, Elden Henson, plus Mark Hamill, William Shatner, Stan Lee, Kevin Smith, Adam West, Gillian Anderson, John Barrowman, Christopher Lloyd, and many more! – Our First Round of Fan Expo Canada Cosplay! – Fan Expo Canada: Star Wars Cosplay Strikes Back!